A shuttle will be provided to anyone needing to get back to the start line as soon as the LAST finisher crosses the finish line. These shuttles will run until everyone gets back to the start line. There are NO shuttles from start to finish for anyone. There are no shuttles BEFORE the race from the start line. Once cars are inside the gate and in a lot, shuttles will take you to the top. 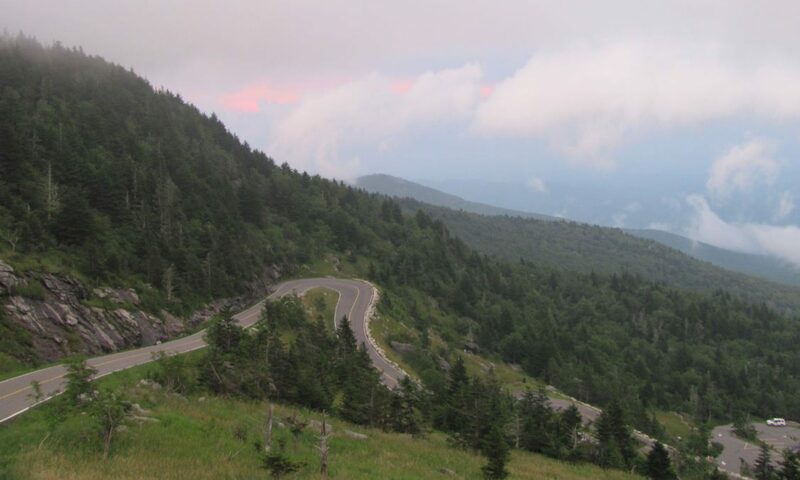 Please note: special parking info will be emailed the week of the race as soon as Grandfather Mountain approves a flow. Anyone who wishes to have friends or family members at the finish may obtain 1 parking pass. This pass may be picked up (one per runner) at packet pick-up. These are available on a first-come, first-served basis. There are limited passes, so please be kind to your fellow runners! This parking pass allows you to get into the Grandfather Mountain attraction free, but, you cannot get in before 6:00 pm and must be in by 7:00 pm. NO ONE WILL BE ALLOWED IN BEFORE 6:00 or after 7:00 pm! Once inside, cars will be parked in the lower parking area below the finish line. NO ONE WILL BE ALLOWED IN THE TOP LOT EXCEPT RACE OFFICIALS. Shuttles will be available from the lower lots to the top. During the race, finishers and spectators may walk down to lower lots until 8:30 pm. After that time, no one will be allowed to walk on the road and you must take the shuttle down. Cars will not be able to leave the lots until the LAST runner has passed the entrance to your lot, then you can leave once the Grandfather Mountain officials release you. No one will be allowed to drive up to the top. Expect spectacular views at the top, so bring a camera. The sunset is usually spectacular. Also, be prepared for chilly temperatures and windy conditions.